5 What is social intelligence and why does it matter? Personal competence. Focuses on your emotions and your interactions with other people and consists of self-awareness and self-management. 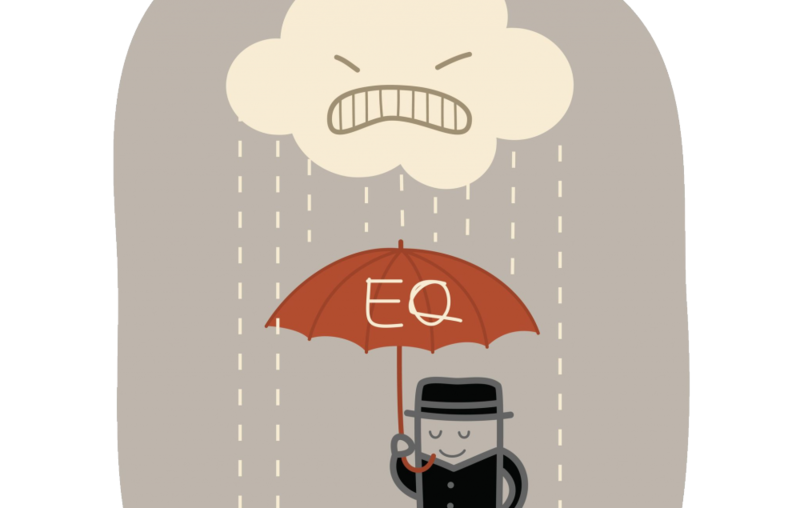 Emotional intelligence involves your behavior, whereas your IQ is your level of intelligence. 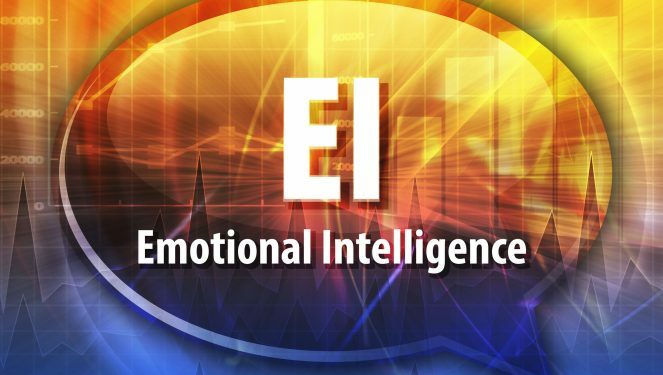 There is no known connection between your IQ and your emotional intelligence (EI). Your IQ is our ability to learn and remains the same throughout your life. However, your EI is a flexible set of personal and social skills one can acquire and improve upon with practice. One may naturally have emotional intelligence, but if they do not, they can develop high emotional intelligence. Personality is our hard-wired preferences, such as an inclination towards extroversion or introversion. This final piece of our being is the style that defines you. Personality cannot predict one’s emotional intelligence and remains relatively stable over a lifetime. Together, IQ, emotional intelligence, and personality explain what a person is like and how they will react. People assumed IQ was the sole source of personal success. However, people with average IQs outperformed those with high IQs 70% of the time. In 1995, it was disclosed that the high performers had high levels of emotional intelligence. Now, after decades of research, experts recognize that emotional intelligence is the critical factor that characterizes star performers. Mental health. Stress and uncontrolled emotions impacts mental health. Now that we have defined what emotional intelligence is and how important it is, we need to find out how emotionally intelligent you are. Our emotional intelligence quiz is composed of twenty questions covering your emotional reactions and responses. Additionally, you are given situations you may encounter in your personal and professional life and choices of ways to handle them. Make sure you answer completely and honestly. When you add up your score, you will find out how emotionally intelligent you are. Then you will be able to decide if you need to work on increasing your emotional intelligence and follow our guidelines for doing so. 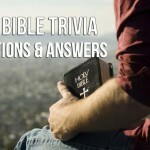 The following two questions determine your emotional reactions. Give yourself 3 points for A, 4 for B, 2 for C, and 1 for D.
Give yourself 1 point for A, 2 for B, 4 for C, and 3 for D.
When faced with situations, we react emotionally. When pursuing a goal, I am able to manage anxiety, anger, fear, and stress. I am able to utilize feedback and criticism to grow personally and professionally. I am able to see things from another person’s perspective. I recognize how my behavior affects others emotionally. When I have a complaint, I am capable of expressing it properly. I listen to others with patience and understanding. Give yourself 1 points for each A, 2 point for each B, and 3 points for each C, and 4 points for each D.
When presented with a situation, we can describe our emotional reaction. The following questions help you do so. I have a great deal of discipline and I am self-motivated. Even if I believe I am right about something, I make an effort to listen to other people’s viewpoints. Give yourself 1 point for each A, 2 points for each B, 3 points for each C, and 4 points for each D.
Now we are going to look at some situations and determine how you would react. Two of your friends are having an argument. Your response is to . . .
Give yourself 4 points for A, 2 points for B, 1 point for C, and 3 points for D.
Your friend tells you her mother has died. Your response is to . . .
Give yourself 4 points for A, 1 point for B, 2 points for C, and 3 points for D.
You are faced with an unpleasant task. Your response is to . . .
Give yourself 4 points for A, 2 points for B, 3 points for C, and 1 point for D.
You find yourself involved in a heated discussion. Your response is to . . .
Give yourself 4 points for A, 3 points for B, 1 point for C, and 2 points for D.
Although you work hard on an assignment, you get a bad grade. Your response is to . . .
Give yourself 4 points for A, 3 points for B, 2 points for C, and 1 point for D.
Your friend at work has an annoying habit. Every day it seems more annoying and worse. Your response is to . . .
You are already involved in many tasks and projects and feel overworked when your boss assigns you big new project. You feel . . .
You work hard on a project and the person with whom you are working publically takes credit for work you did. Your response is to . . .
Give yourself 2 points for A, 3 points for B, 1 point for C, and 4 points for D.
Now add up all of your points to see how high your emotional intelligence is. Put your score here _____. You have extremely high emotional intelligence. You are skilled at understanding, interpreting, and acting appropriately upon your emotions and those of others. You deal effectively with emotional and social situations and conflicts, and express your feelings without hurting the feeling of others. Although you score relatively high, you do have room for improvement. Watch the reactions of others to determine when you are using your emotional intelligence effectively and when you are not. Objectively looking at social and personal situations where emotions run high and analyzing your success will help you improve your already high emotional intelligence even more. Your emotional intelligence is a bit low. You probably struggle to manage your emotions in high pressure situations or when you get angry. You have some work to do to improve. Begin by trying to express your emotions after you are calm. Our section on developing your emotional intelligence will help you a great deal. No matter how high or low your score, you can increase your emotional intelligence by learning more about how you respond in various situations. Additionally, an increase in emotional intelligence can help you do better in your job or in school. Even if you understand what emotional intelligence is, you may find it difficult to apply that knowledge to your life. In order to permanently change and improve one’s emotional intelligence, one must not only build their emotional and social awareness, but also learn to manage their relationships, and develop personal and social competence. Consider the following ways of doing so. Suspending your thoughts in order to experience nonverbal cues of others as they change from one moment to the next. Not thinking about your own goals and objectives when you are with other people, but having concern for theirs. Become Aware of How to Effectively Use Nonverbal Communication. Nonverbal communication is sending emotional signals through the muscles in your face and the posture of your body. It is important to recognize the kind of non-verbal message we send to others in order to improve our emotional relationships. Use Humor and Laughter. When you are stressed, you have trouble keeping things in perspective. Humor, play, and laughter bring your nervous system back into balance, which means you can sharpen your mind and calm down. You are then able to be more empathetic. View Conflict as an Opportunity. Conflict helps us build relationships when we see conflict as an opportunity to grow closer to others. Learn to view conflict positively, as a method to build feelings of freedom, creativity, and safety in your relationships. Self-awareness can be improved by paying attention to what you experience emotionally as you listen to others. This also illuminates your own beliefs and values. Self-management improves when you are able to connect to your emotions and understand how emotions influence your thoughts and actions. Both self-awareness and self-management are essential for improving emotional intelligence. People have emotional reactions to events before their rational mind is able to engage. 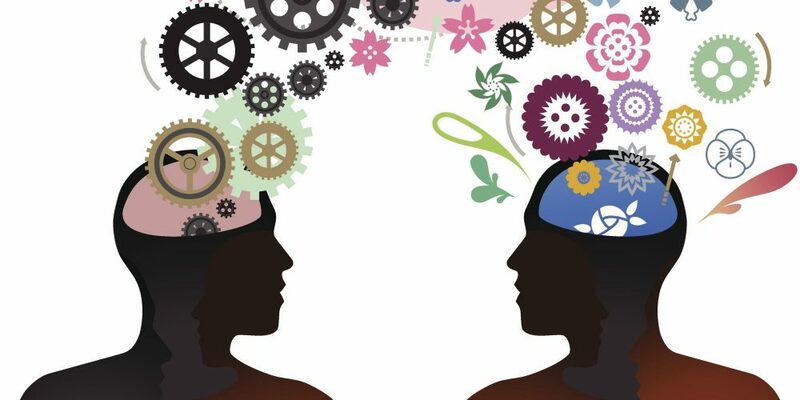 The brain grows new connections when you learn new skills. When you train your brain by repeatedly using new emotional intelligence strategies, emotionally intelligent behavior becomes a habit. When you work to increase your emotional intelligence, you see results in both your personal and professional life. It is a fact that those with high emotional intelligence not only have more career success, but also make more money. When emotional intelligence was tested alongside 33 other important workplace skills, it was found that emotional intelligence is the strongest predictor of performance, explaining 58% of success in all types of jobs. Additionally, 90% of top performers are also high in emotional intelligence. These high performers also make more money than lower performers. Your life is driven by your emotions. If you understand your emotions, you can effectively relate to others and are able to keep your emotions under control. Understanding the power of emotional intelligence allows you to use it to your advantage. Emotional intelligence allows you to control impulsive feelings and behaviors, manage emotions in healthy ways, take initiative, follow through on commitments, and adapt to change. With emotional intelligence, you can achieve success and fulfillment in both your personal and professional life. Start today to build better emotional intelligence. It is important to remember that there is a difference, however, between learning about emotional intelligence and applying that knowledge to your life. Just because you know you should do something doesn’t mean you will—especially when you become overwhelmed by stress, which can override your best intentions. In order to permanently change behavior in ways that stand up under pressure, you need to learn how to overcome stress in the moment, and in your relationships in order to remain emotionally aware. What is social intelligence and why does it matter? Social intelligence is closely related to emotional intelligence. Our emotions evolved to serve a social purpose that enables us, as humans, to survive. The ability to recognize friend from foe, to reduce stress, and return our nervous system to a state of balanced equilibrium and to feel loved and happy is essential. 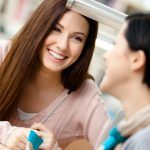 These essential abilities all depend on successful emotional communication that is nonverbal and connects you to other people and their emotions. Personal and social attributes play off one another. The world is a social place and we are social beings. The science of attachment teaches that present day emotional experience is a reflection of early life emotional experience. Your ability to experience core feelings like anger, sadness, fear, and joy most likely depends on the quality and consistency of your early life emotional experiences. If your emotions were understood and valued, your emotions became valuable assets later in life. But, if your emotional experiences were confusing, threatening or painful, you most likely did your best to distance yourself from them. Being able to connect to your emotions—having a moment-to-moment connection with your changing emotional experience—is the key to understanding how emotion influences your thoughts and actions. Mindfulness is the practice of purposely focusing your attention on the present moment—and without judgment. The cultivation of mindfulness has roots in Buddhism, but most religions include some type of similar prayer or meditation technique. Mindfulness helps shift your preoccupation with thought toward an appreciation of the moment, physical and emotional sensations, and brings a larger perspective on life. Mindfulness calms and focuses you, making you more self-aware in the process. Think about a time when you have been overwhelmed by stress. Was it easy to think clearly or make a rational decision? Probably not. This is because while your brain can manage feeling and thinking at the same time, when we become overly stressed, our ability to both think clearly and accurately assess emotions—our own and other people’s—becomes compromised.